It’s a sentiment that I hear, observe, or read about with some regularity these days. Have you heard it? For others, I think it indicates a lack of knowledge or understanding about what the Bible teaches on this topic. 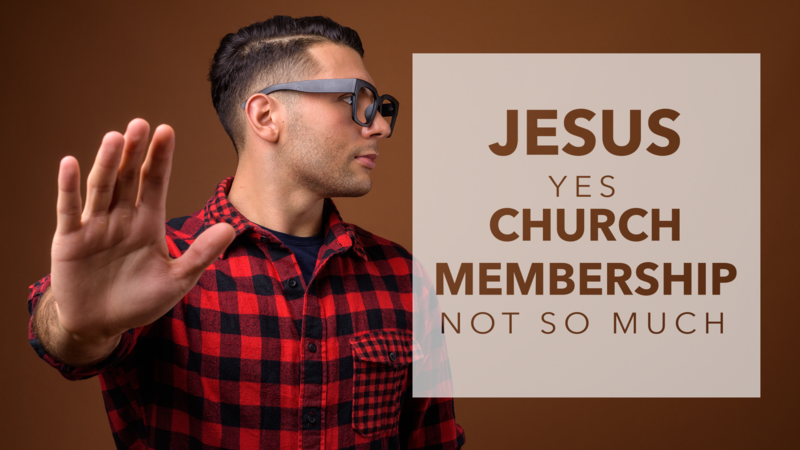 If you were to tell them that Jesus himself said, “I will build my church” (Matthew 16:18), they might say: “You’re kidding. I thought the idea of church was just something a bunch of religious leaders dreamed up somewhere along the way. I’m sure there are other reasons as well. Yet, as I read Scripture, it’s crystal clear to me that God expects us not only to follow Jesus, but also to love the church. The church is the body of Christ (1 Corinthians 12:27) and the bride of Christ (Ephesians 5:25 ff.). And, as his body and bride, Jesus “nourishes and cherishes” the church – what tender and affectionate language! Oh no. Once you see what the Scripture teaches, if you follow Christ wholeheartedly, you will not only attend church, you will become a member of a church, and you will “strive to excel in building up the church” (1 Corinthians 14:12). So, if you are “all in” as a member at Ingleside already, thank you. Your commitment honors and pleases God. Stay in the game! If you are not yet a “member,” I look forward to seeing you at a membership class soon. The next three are on Sundays, January 21, or February 11, or March 18. If you’ve not yet attended worship at Ingleside, I hope to see you this Sunday at 8:30, 9:40, or 11:00 a.m. Please introduce yourself when you come. I’d love to meet you personally. I’m really grateful to be on this journey with you. And, yes, I’m convinced that the best is yet to come!